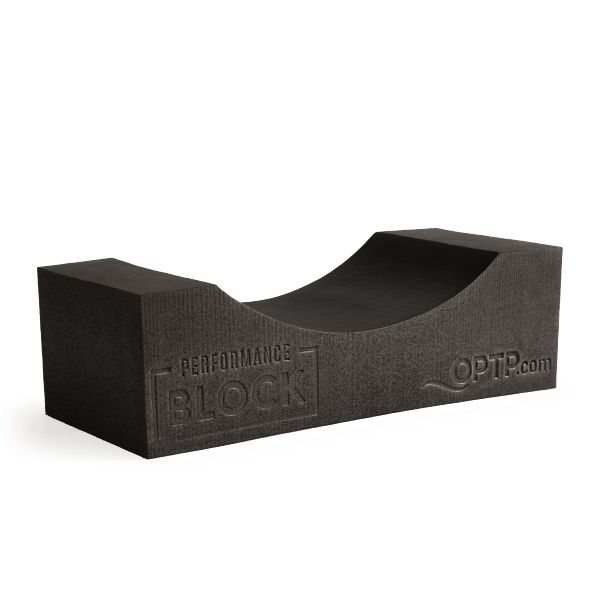 The Performance Block is a versatile foam exercise assistant for yoga, Pilates, physical therapy, and functional fitness. The Performance Block is a creation founded in chiropractic care, personal training, engineering, and biomechanics. Its innovative design is the result of more than 35 years of clinical experience and real life application. The supportive nature and patented “dip” of the Performance Block make it unique. Its small, lightweight design makes it a versatile companion for yoga, Pilates, physical therapy, and fitness training that’s easy to take to the gym or on travels. 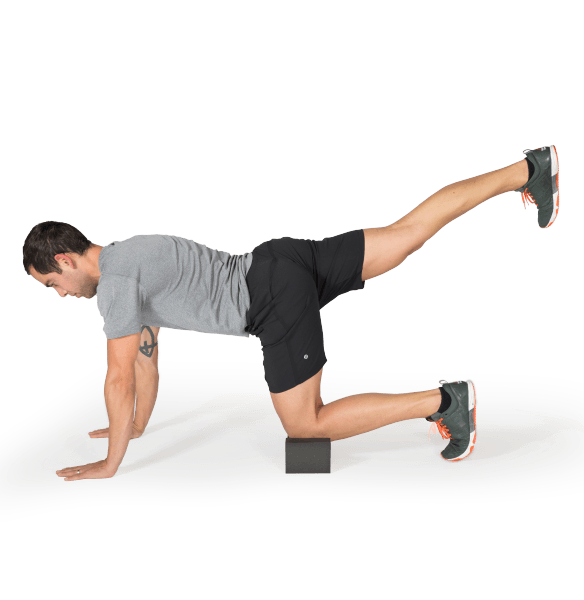 Patients, athletes, trainers, and fitness enthusiasts of all levels can benefit from The Block’s low-impact yet challenging movements. 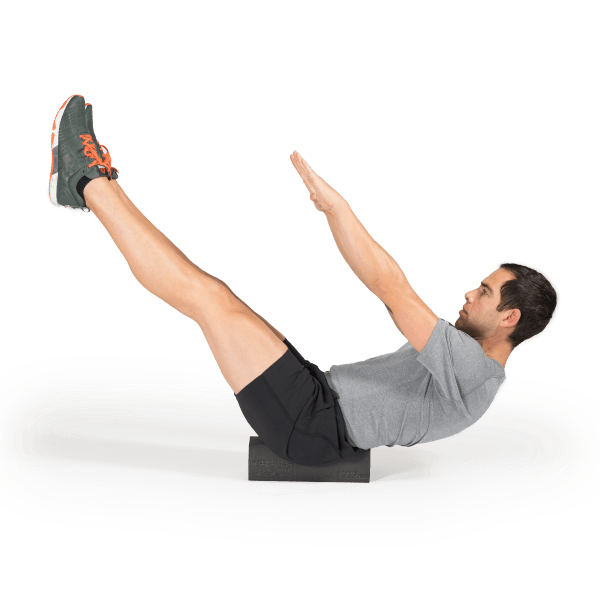 Exercises take advantage of its unique shape to promote improved strength and functionality throughout the body. Includes exercise manual demonstrating 14 exercises with additional variations. Invented by personal trainer Luis Leonardo and chiropractor Dr. Greg DeNunzio. I’ve used the performance block for some time now. It helps secure many of my exercises by creating stability. My focus is on the exercise, not if I’m going to slip. I enjoy the challenge of sitting on the curved side, balancing myself and doing legs extensions. I put two together, sit in the curve and swing my legs side to side. 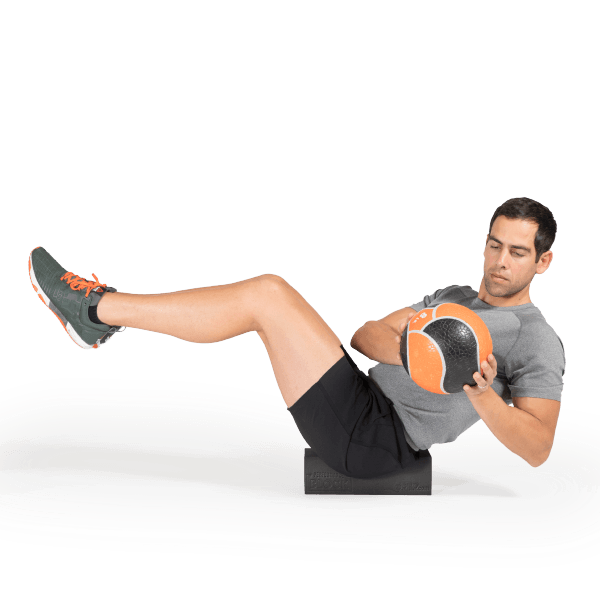 This is great for the core, lifts you a little off of the floor and provides just enough cushion. There are many more ways to use this great product that you can come with because you could incorporate it into many of your routines. Travels easy too. The Performance Block (PB), allows a beginner (such as myself) the ability to perform many strength training exercises as comfortably as possible. The PB makes it easier to do the exercises correctly so that I can get the most benefit from my efforts. The easy to follow instructions allow me to cover a wide range of exercises for the entire body! Ease of use and simplicity are the things that encourage beginners to keep exercising and to keep improving. The PB allows you to work out anywhere at any time! Strength training doesn’t have to be complicated with the performance block; and is something that everyone could use! I&apos;ve been using this product for over a year with my strength exercises. I mainly use it for exercises like mountain climbers. It is supportive for my hands and wrists and I don&apos;t have to wear workout gloves while on the gym floor. It fits in my gym bag and I bring it with me whenever I&apos;m working strength that day. There is nothing like it at my gym. Bonus that at home with one piece of equipment I can do so much strength just by using my body to do the work. The Performance Block is definitely a game changer. It has assisted me in increasing my flexibility and mobility. There are SO many DIFFERENT exercises that can be done with the Performance Block. I travel frequently and ALWAYS take it with me!! My favorite.....both knee pushups using the PB!! Sitting in chairs all day make our hip flexors weak so I have used the Performance Block to do hip raises. Place under one glute and raise the other leg up as high as possible. Lightweight and portable! Could be used for many other movements like planks.